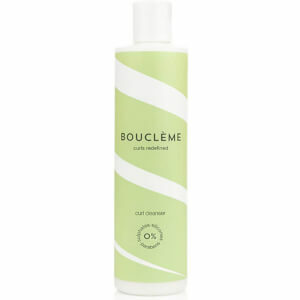 Replenish and revitalise with the Bouclème Curl Conditioner; a lightweight, ultra-hydrating formula developed to strengthen and protect dull, curly hair. Harnessing the powers of Argan Oil, Aloe Vera Leaf and Virgin Coconut Oil, the nourishing conditioner delivers intense moisture deep into the hair cuticle, whilst antioxidant Vitamin E shields from the damaging effects of environmental stresses. Expect manageable, healthy-looking locks with restored shine and vitality. After cleansing, apply generously to soaking wet hair. Comb through hair with fingers. For fine loose curl patterns apply from the mid-section to avoid weight at the roots. Apply more conditioner to drier areas. Rinse out partly or fully depending on your curl pattern and texture. 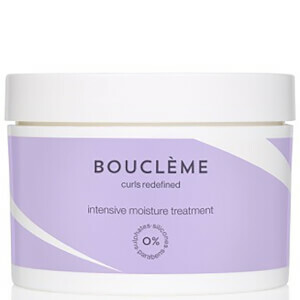 For drier thicker curl types we recommend leaving the conditioner in. Aqua, Cetearyl Alcohol, Glycerin (Vegetable), Polyglyceryl-3 Dicitrate/Stearate, Cocos Nucifera (Virgin Coconut) Oil, Argania Spinosa (Argan) Oil, Benzyl Alcohol, Distearoylethyl Dimonium Chloride, Methylcellulose, Linum Usitatissimum (Linseed) Seed, Guar Hydroxypropyltrimonium Chloride, Hydroxymethylcellulose, Dehydroacetic Acid, Punica Granatum (Pomegranate) Extract, Aloe Barbadensis (Aloe Vera) Leaf Extract, Propanediol, *Litsea Cubeba (May Chang) Flower Oil, *Citrus Grandis (Grapefruit) Peel Oil, *Citrus Reticulata (Mandarin Red) Peel Oil, *Citrus Aurantium Dulcis (Sweet Orange) Peel Oil, *Citrus Aurantium Bergamia (Bergamot) Fruit Oil, * Origanum Majorana (Marjoram Sweet) Leaf Oil, *Rosmarinus Officinalis (Rosemary) Leaf Oil, *Mentha Viridis (Spearmint) Leaf Oil, *Pogostemon Cablin (Patchouli) Leaf Oil, *Michelia Alba (Magnolia) Flower Oil, *Michelia Alba (Magnolia) Leaf Oil, *Cymbopogon Martini (Palmarosa) Leaf Oil, Styrax Tonkinensis (Benzoin) Resin Extract, *Tilia Cordata (Linden) Flower Oil, **Limonene **Linalool **Geraniol. *natural pure essential oils **potential allergens.